As an actor, you are an artist – but you are also an entrepreneur. 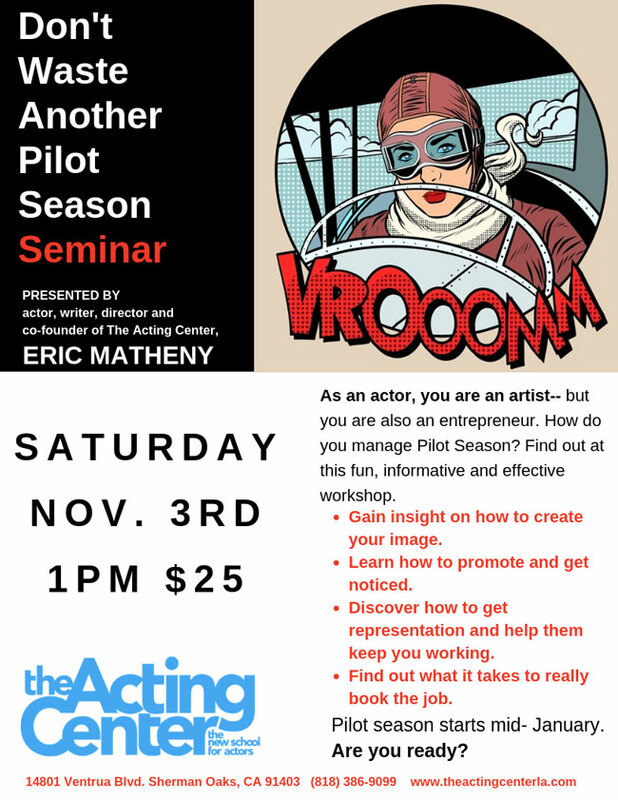 How do you manage Pilot Season? Find out at this fun, informative and effective workshop. Gain insight on how to create your image. Learn how to promote and get noticed. Discover how to get representation and help them get you working. Find out what it takes to really book the job. Pilot season starts mid – January. Are you ready?